VLADIVOSTOK (Sputnik) — South Korean President Moon Jae-in proposed to Russia to build "nine bridges" of cooperation, including energy and transport. 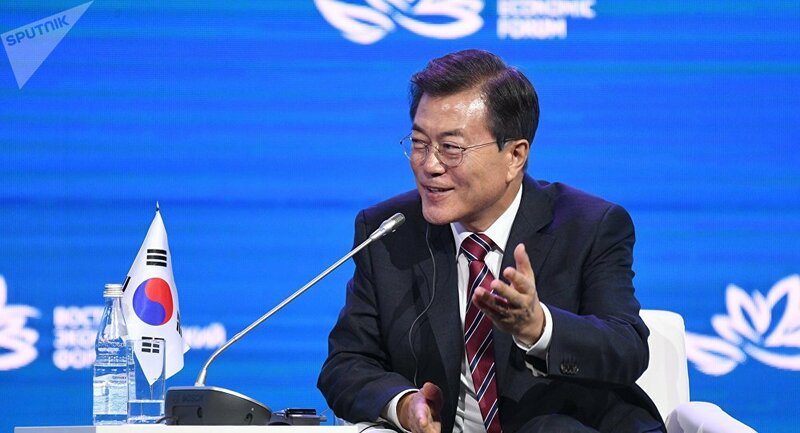 "I propose to build 'nine bridges' between Korea and Russia for simultaneous and multilateral cooperation," Moon Jae-in said, speaking at a plenary session of Russia's Eastern Economic Forum 2017. "Nine bridges mean the bridge of gas, railway, the Northern Sea Route, shipbuilding, the creation of working groups, agriculture and other types of cooperation," he said. On Wednesday, Moon Jae-in said that Russia, South Korea and North Korea would work on joint projects in the Russia's Far East.